Currently viewing the tag: "WoodCraft"
Not all wood is cut into nice rectangular shapes. This is especially true when you’re looking for novel blanks like pieces of burl to turn into beautiful centerpieces. But before turning the blank you need to figure out the largest or best material it will bare. Made from 1/8″ acrylic, the Bullzeye Woodturner’s Center Finder has concentric circles marked every quarter inch and will mark circles up to 10″ in diameter. Although it’s called a center finder, it’s really more of a usable material finder. 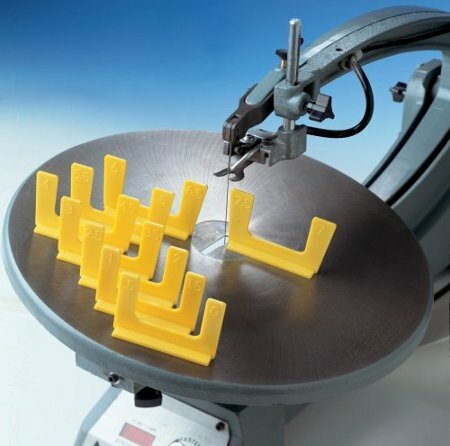 Need a quick way to check that your scroll or band saw table is set at the right angle? 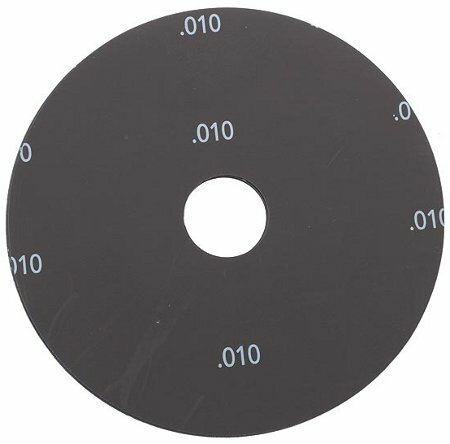 These plastic Accu-Angle gauges are a fast and easy way to set or verify the angle of the table to the blade. The set of eight gauges measures angles from 0 to 7.5º in 0.5º steps. 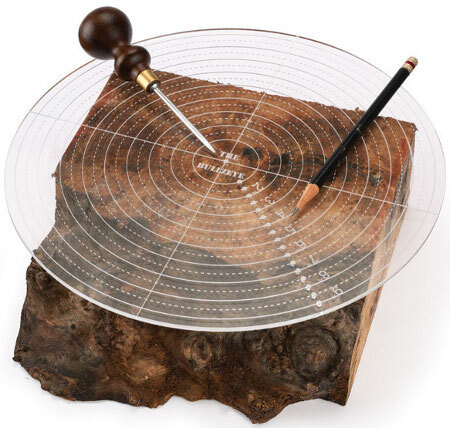 Each gauge measures two different angles. The whole set will run you $13 before shipping. 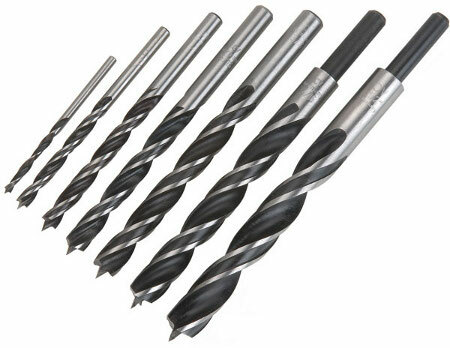 You’d think manufacturers have done just about everything possible to make drill bits perform better, but it seems they still have a few tricks up their sleeves. Colt, a German drill bit manufacturer, recently introduced some new bits with what almost looks like a four-flute design. Made of alloy steel, the Twinland brad point bits use a 25º flute with a recessed land — the land is the raised area of the spiral bit. By creating a void in the land, the design removes chips faster and helps prevent one cause of burning, where chips get between the land and the hole wall. The second “land” surface also is supposed to improve guidance and accuracy. Getting all the teeth lined up on a dado stack is hard enough without worrying about losing shims — that’s why Forrest dado stacks ship with magnetic shims. But you don’t need to buy the Forrest to get these shims; you can buy them separately and they’ll stay stuck to just about any steel blade or chipper. 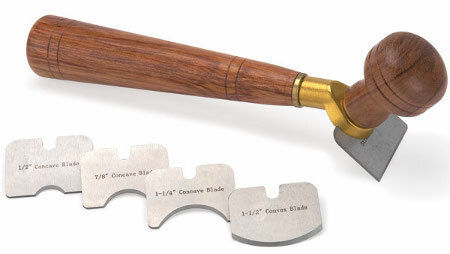 Yesterday we featured a product that can turn your a chisel into a plane; today we’ll show you a plane that you might use in some of the same operations where you’d use a chisel, like removing glue or trimming plugs. It also works well at trimming box and dovetail joints flush and cleaning up rabbets. You don’t want to use this plane like you would a normal plane though, because there’s no support in front of the blade. 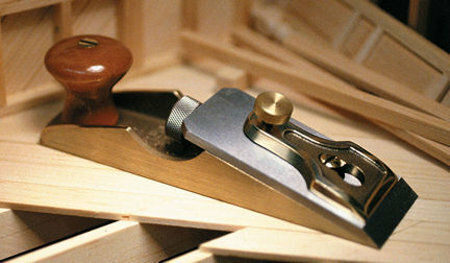 Scrapers work well for removing glue, paint, and other finishes, but not every surface is flat. 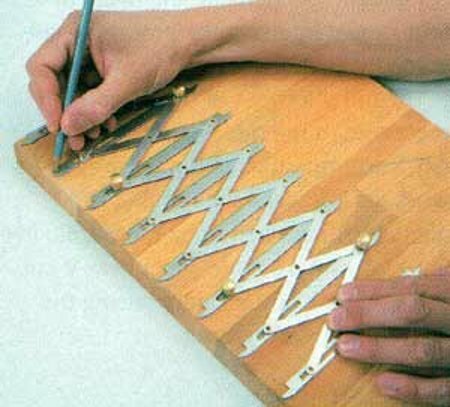 For cleaning up curved surfaces, a scraper that can accept blades with different curved profiles would come in handy. The wood for your next project might be hiding in your woodpile. 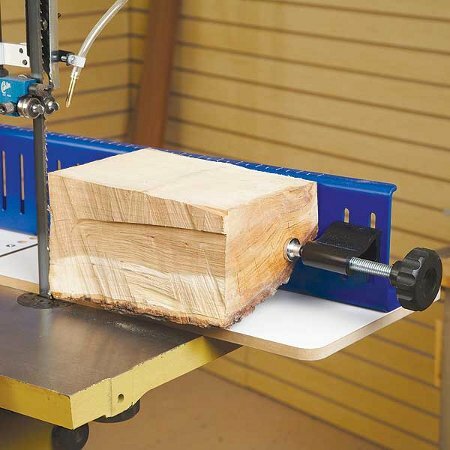 With Carter’s AccuRight log mill and a bandsaw, you can turn those wood logs into usable boards or turning blanks. The 20″ long by 8″ wide log mill holds the wood securely so you can cut the necessary flat surfaces for safely resawing the log on your bandsaw. Spacing markings equidistantly can be tedious and prone to error; it’s easy to make mistakes calculating the distance between the marks. The Point-2-Point from M-Power makes spacing marks equidistantly almost as easy as pulling out a tape measure. Just choose how many points you need to mark and stretch the Point-2-Point so that the bracketing uprights line up with the ends of your project. The geometry of the gauge keeps each upright the same distance away from the next, no matter how far it’s stretched. For example, if you need to mark three equally-spaced holes on a board, line up the first upright with one end of the board and the 5th upright with the other end of the board. 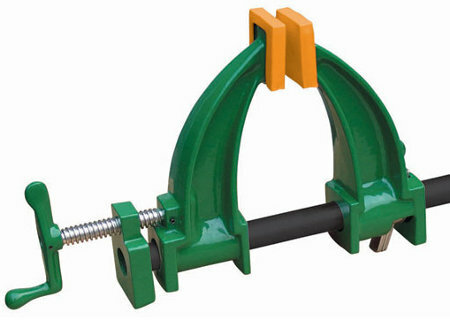 Pipe clamps are a cheap and easy way to clamp glue-ups, but they only apply pressure on the first few inches near the edge. You can always alternate clamps on the top and bottom to apply more even pressure, but this only works for stock under 5″ thick or so. If you’re putting together an even thicker slab, you should probably make sure you apply pressure to the middle, too. Countless products are available for filling wood, but they all have their problems. They either dry out before you can use them, don’t expand and contract with the wood, aren’t stainable, are messy to use, or just plain don’t stand up to time. 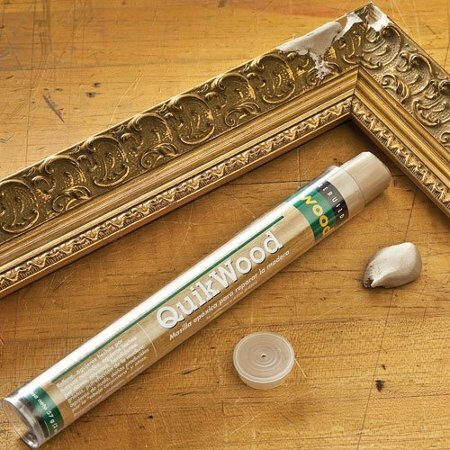 Could QuikWood’s two-part epoxy-in-a-stick be a better choice? The base and activator are already measured out in the right ratio, so all you need to do is cut off a hunk of the stick and knead it in your hands for a minute until the putty-like epoxy is one consistent color. There’s no mess, no measuring, and no stirring.